Ideally, your business runs smoothly every day. In the daily running of a business, it can be the smallest things that cause the biggest logjams in your day. When that little thing is your commercial garage door, call Garage Door Service & Sales for fast, reliable service to get your business, and your day, flowing again. 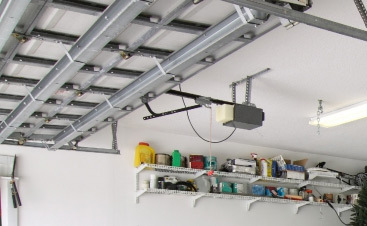 It’s our job to make sure that your business’ garage door is not what causes a headache in your day. When your commercial garage door won’t open to let your service vehicles out to do their work, be it one door or multiple doors, not just your profit margin is at stake. Your reputation also hangs in the balance. We know the urgency of getting your workers out so service your customers and we’ll treat your business priorities as our own. Sometimes it can be a simple spring replacement and sometimes it becomes a bigger project but we are dedicated to seeing the project through to a quick completion. We carry a large stock of supplies so repairs can be done quickly. 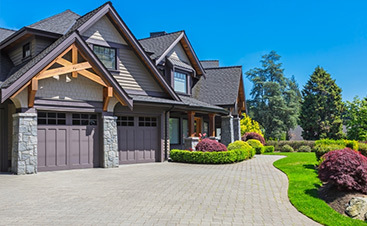 At Garage Door Service & Sales, we provide a highly trained team that’s specifically dedicated to commercial projects. If you’re in need of repairs, we can get your garage door fixed quickly, correctly, and without disrupting your business. Is it time to upgrade? Nothing says ‘facelift’ like a new garage door. It’s actually one of the most cost-effective ways to update the look of your business and increase the curb appeal of your business. 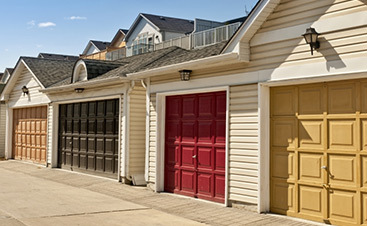 What’s great about investing in new garage doors is that the value stays with the building for years to come. For installations, we offer a wide variety of name brands and styles, and you’re sure to find one that will compliment your professional space. If you have questions, or you need to schedule a service appointment, contact us today.